Sometimes, because of external stimulation, you may end up having some artefacts on top of your recordings. For example, in case of optogenetic stimulation, shinning light next to your recording electrode is likely to contaminate the recording. The code has a built-in mechanism to deal with those artefacts, in the triggers section of the parameter file. In a nutshell, the code will, from a list of stimulation times, compute the average artefact, and substract it automatically to the signal during the filtering procedure. Once those two files have been created, you should provide them in the [triggers] section of the code (see here). 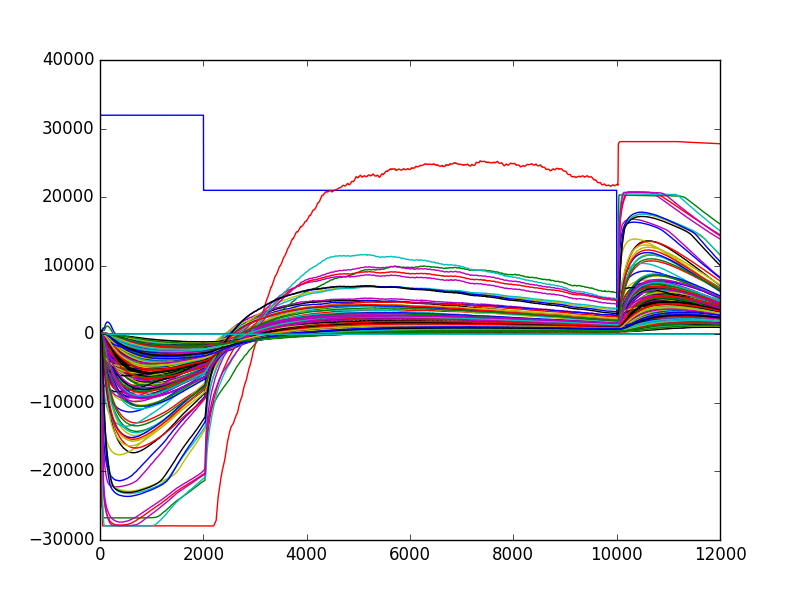 Note that by default, the code will produce one plot by artefact, showing its temporal time course on all channels, during the imposed time window. This is what is substracted, at all the given times for this unique stimulation artefact.